I remember those days when I was reading a book and bit by bit, a whole new world opened up in my mind. When, in my imagination, I entered into a different reality. One that someone described but one I created in my mind. People living in a different reality today, live in Facebook-land or Instagram-land. They walk the streets likes zombies, locked in their own world, head down, eyes firmly fixated on a small screen. Germans (ah, Germans!) and Dutch (mmhhh…?) 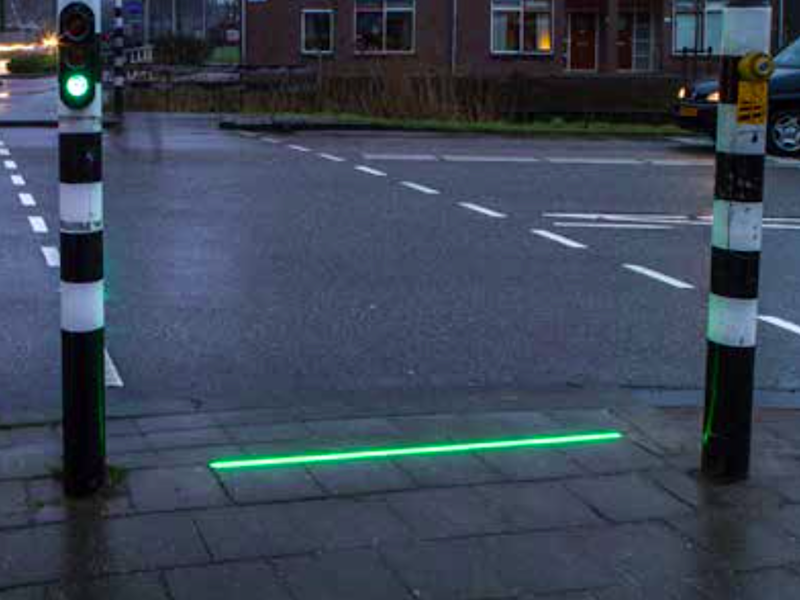 are so concerned about their fellow countrymen turned zombies that they have installed traffic lights on the ground so they couldn’t be missed – even if you’d never look up. If you don’t get the attention of those to whom you want to signal some important messages because they just choose to look the other way, you change tactics. You put that message right in their way where they can’t miss it, where they quite literally stumble over it. Pádraig keeps doing well, his head control is getting noticeably better and his reaction times too. It will take some time, but one day he will not just be able to sit in a chair all by himself, he will also be able to walk, even if that will require some level of support. Talking about support. When I talked to a rehab consultant today, I nearly cried, realising the many opportunities we missed, realising that we have spent so much energy and effort and time trying to convince the ‘professionals’ that Pádraig requires ongoing rehabilitation.